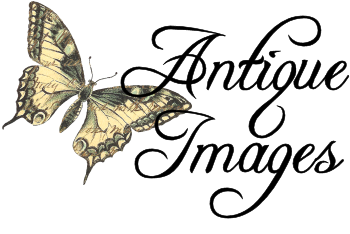 These are two beautiful digital fruit clip art downloads created from antique, Victorian paper scraps. 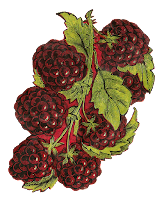 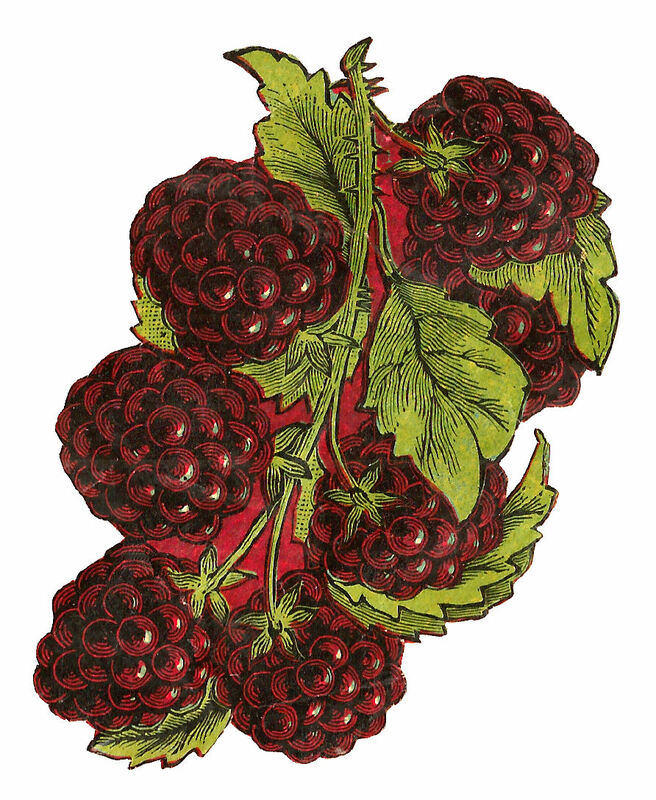 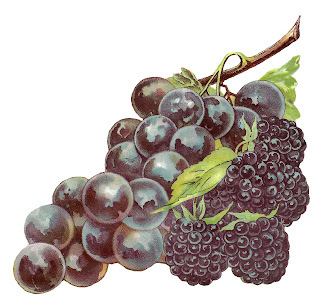 The first digital fruit image is of Blackberries. This is a wonderfully colorful blackberry download that's perfect for so many crafting projects. The second digital fruit clip art is of both grapes and blackberries. 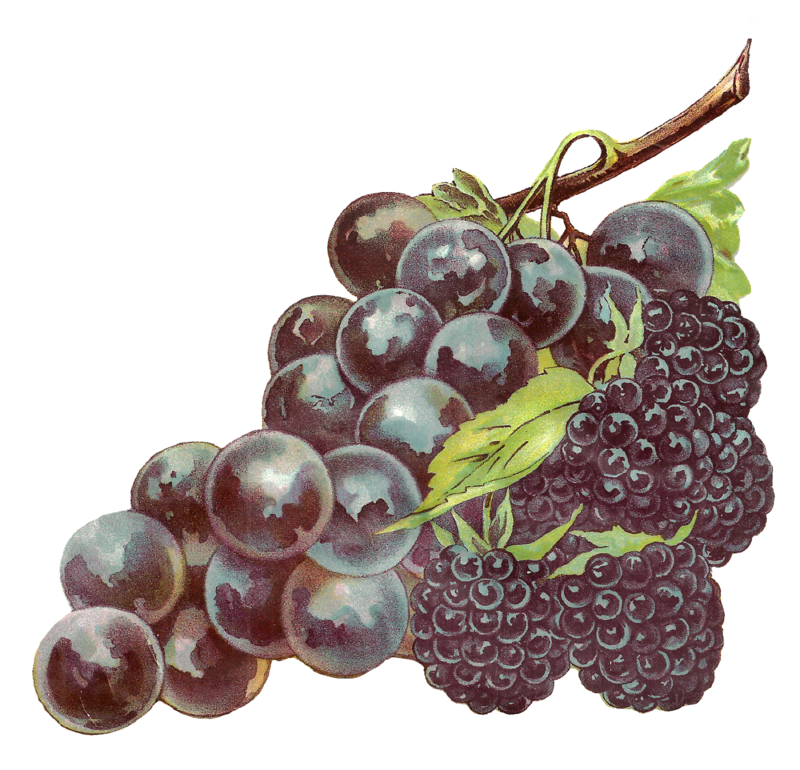 The deep, indigo blue of the grapes and berries look gorgeous together. 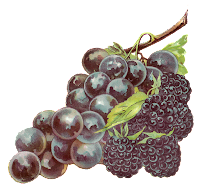 This fruit image alone is reason enough to create a recipe with both fruits just so you can make a pretty, handmade recipe card!